Chris Christie for president? Not too long ago, we never thought that the jubilant character would be the governor of New Jersey, and we surely wouldn't think that his name would be peppered into talks of who will lead the GOP ticket in 2012. Christie certainly isn't popular with the democrats, or the labor unions. In fact, the president of the Bergen County Education Association sent out an email praying for his death - and the head of the Teacher's Union issued an official apology. Christie invited her to the governor's mansion for a face-to-face apology, and his account of that indicates why he would be the perfect GOP candidate for the presidency. Basically, the head of the teacher's union was worried that Christie was going to fire her - and he didn't give her a simple answer. Chris Christie said that if it was his chief of staff that asked for prayers for her death, he'd have thousands of teachers lined up at the state capital calling for Christie to fire his chief of staff or to call for a formal resignation. He claims they would have been too late. He would have already called for the resignation. Of course, the head of the Labor Union said she wouldn't do the same - perhaps the apology was enough. However, Chris Christie calls it like it is. He doesn't care if he's liked by everyone - and he does what he says he will. 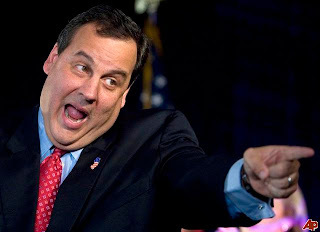 Whether or not Chris Christie will run for president isn't yet known. However, the encounter I discussed above is available in the video below.